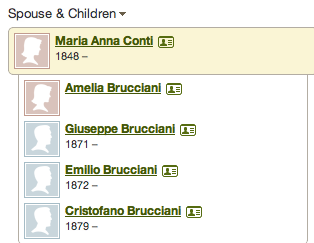 Alessio was my great great grand uncle. He married Mariana Conti. They left for America firstly in the year 1885 and find them in 1908 travelling back. This was a common occurance with families travelling back and forth to visit their homelands in Italy before finally settling in their chosen destination. 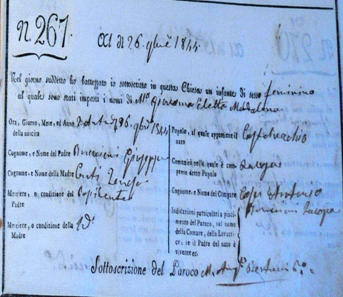 In the year 1908 we have a record of Alessio and his wife Mariana travelling to the USA onboard the ship La Provence. They were travelling to visit a friend Pietro Braci….Alession took on the name of Fedele Brucciani, his third baptism name. 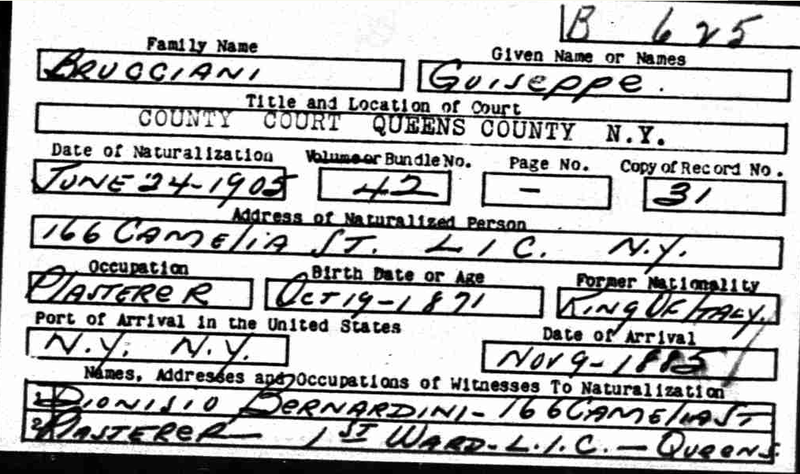 Giuseppe left Italy at an early stage in his life arriving in the USA in 9th November 1885 age only 14. Giuseppe also travelled back and forward and here we find him returning to Chicago this time in 1908 to visit his sister. The last photograph was taken on a visit to Tuscany. 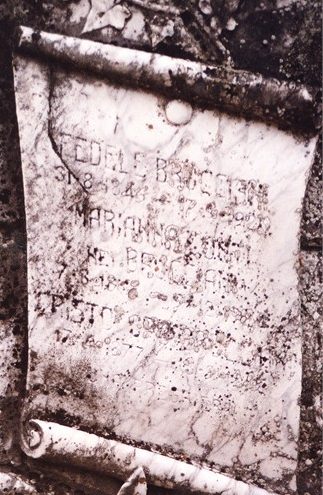 The gravestone of Fedele and Mariana, just barely readable.